The momentous crossover of the ages, Shattered Grid, continues this July with Go Go Power Rangers by Ryan Parrott and Dan Mora! As always – the story is under wraps and you have to read the issue to discover what truly happens. But until then we have some AMAZING artwork via the covers that will be available for the book. Check out a cover of the Ranger Slayer with Gravezord, an iconic scene from Mighty Morphin Power Rangers with Trini and Billy, a stunning Black Ranger cover, and the continuation of classic movie covers redone with Power Rangers this time featuring the cult-classic Mallrats. Go Go Power Rangers releases this July in comic book stores and digital. As we approach the release of Mighty Morphin Power Rangers Issue 25 on Wednesday, March 28th, we’re taking a look back at the BOOM! Studios Mighty Morphin Power Rangers and Go Go Power Rangers comics to help you catch up, if you will, on everything you might have missed if you haven’t been reading. Today we present the History of Lord Drakkon, the main villain of the upcoming Power Rangers Shattered Grid mega-event (which spans the comics, Power Rangers HyperForce, and more). Using information given to us through both Mighty Morphin Power Rangers comics and the Mighty Morphin Power Rangers Annual comics, we’ve written up a complete history of Lord Drakkon thus far in the Power Rangers comic universe. Click “Read More” and join us on this adventure of the greatest villain the Power Rangers have ever known – one of their own. Today we celebrate BOOM! Studios and the Shattered Grid event in both Mighty Morphin Power Rangers and Go Go Power Rangers comics! And what better way to do so than to get in the spirit with Shattered TokuNation! Join us on this all-day event as we celebrate these unbelievable comics! When it comes to Power Rangers it can be hard to find fans who universally agree on things. That’s not a problem with the Mighty Morphin Power Rangers comic, written by Kyle Higgins. An overwhelming majority of Power Rangers fans, and comic fans in general, are loving what Kyle Higgins and BOOM! Studios are producing month after month. Kyle has thrown in more twists and turns than we can count – but we’re going to try! Click “Read More” and check out what we believe are the Top 5 Memorable Moments in the Mighty Morphin Power Rangers comics! WARNING – SPOILER AHEAD! 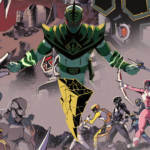 The Shattered Grid event is here and to celebrate we’ve Shattered TokuNation! We’re spending today, the official launch of the Shattered Grid event for the Power Rangers comics from BOOM! Studios, in celebration of all things Power Rangers comics! This article we’re going to explore what happens to “sister” comics all too often. You know what a “sister” comic is right? It’s the comic that’s technically a spinoff of another comic that always seems to fall to the wayside in terms of readers and popularity. We’re going to spend the next few paragraphs explaining to you why you NEED to be reading Go Go Power Rangers from Ryan Parrott and Dan Mora. To get started click “Read More”! Beware – SPOILERS AHEAD! The Power Rangers Shattered Grid event is officially here! All day today TokuNation is celebrating both Mighty Morphin Power Rangers and Go Go Power Rangers from BOOM! Studios with an event we’re calling Shattered TokuNation. 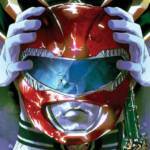 Join us as we celebrate our Top 5 Mighty Morphin Power Rangers Covers! These are simply our opinions – but we feel confident that even if these are covers are not in your Top 5, they’re probably in your Top 10! Click “Read More” for our list and see if you agree! 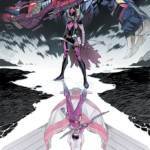 BE WARNED – SPOILERS FOR PREVIOUS ISSUES OF MIGHTY MORPHIN POWER RANGERS AHEAD! Story title image courtesy AllTheNerds.com. Headed to WonderCon 2018 this weekend? Be sure to swing by the BOOM! Studios booth #1301 to pick up your exclusive Power Rangers Pins! Featuring the core five Mighty Morphin Power Rangers, as well as the iconic lightning bolt and a special shattered version for the Shattered Grid event. These will cost $12 and are available while supplies last. Don’t forget to pick up your exclusive Go Go Power Rangers comic cover featuring the cult favorite Power Rangers HyperForce. You also have a very important panel to attend on Saturday featuring Shattered Grid news. We know this one’s been out for a while, but when you’re dealing with something this incredible, it takes a bit of time to do the job right. So we’ve taken our time and shot an in depth gallery of nearly 200 images, with a full length 7 part review of this fantastic release. It’s well past time we share with you our in depth look at the Soul of Chogokin SOC GX-76 Daizyujin! Of course for the western collectors out there this is none other than the MMPR Megazord! Daizyujin is that most iconic of Sentai mecha to those of us in the west. It’s gone through various toylines, updates, and revisions over the years, and finally Tamashii Nations has tackled it with an entry in their long line of SOC’s. This figure sat out to recreate the iconic designs of the 5 Guardian Beasts and their two combined forms using modern engineering. The results are near flawless. We have a die-cast laden, poseable, proportionate, and imposing figure to add to our collections. Special note, our review piece today (provided by the infinitely generous TokuChris) features the western Bluefin distribution exclusive packaging. Consisting of new MMPR themed box art. We’ve attached the MASSIVE 195 image gallery of SOC Daizyujin to this post. But you can also read our lengthy review of this set by clicking “Discuss on the TokuNation Forums” at the bottom of this post. This gallery & review were a labor of love for me. And if you’re a fan of Zyuranger or MMPR, I hope it does the job of making you want this set.